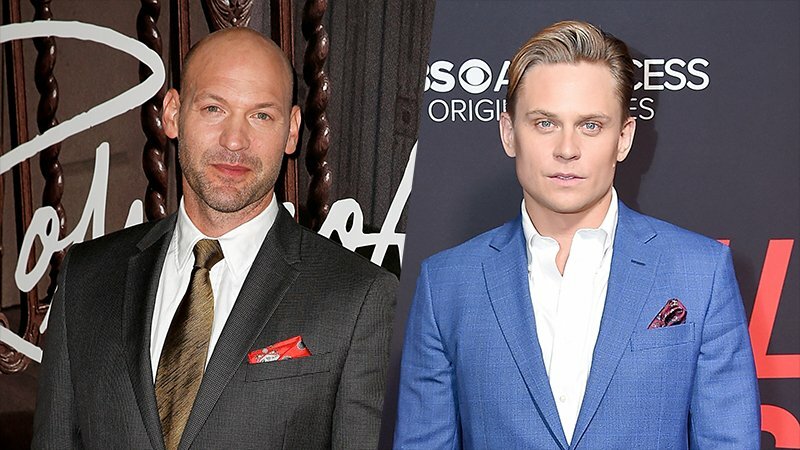 Corey Stoll (First Man) and Billy Magnussen (Velvet Buzzsaw) have joined The Sopranos prequel The Many Saints of Newark, Variety has confirmed. The movie will be set during the Newark riots in the ’60s. Though plot details on the film are being kept under wraps and it’s unknown which roles Stoll and Magnussen will fill, the two are joining Jon Bernthal (The Punisher), Vera Farmiga (The Conjuring 2), and Alessandro Nivola (A Most Violent Year), who is set to portray Dickie Moltisanti, the father of Michael Imperioli’s Christopher. Long-time Sopranos alum Alan Taylor will be directing the 60s-set The Many Saints of Newark, which was written by original creator David Chase along with Lawrence Konner. Chase will also be serving as producer. Though the original series often employed flashbacks to this particular era in Newark history, it’s unknown if any of the actors who portrayed younger versions of Soprano wiseguys will be reprising their roles for the film. Chase is reportedly maintaining heavy creative control over the project, having handpicked Nivola for his role. Golden Globe nominee Stoll has appeared in many hit television series and movies, including House of Cards, The Strain, Girls, Ant-Man, Black Mass, and First Man. He will next be seen on Netflix’s Ratched drama series from Evan Romansky and Ryan Murphy. Magnussen has previously starred in Get Shorty, Netflix’s Maniac, American Crim Story, Game Night, and The Oath. The actor’s upcoming projects include Velvet Buzzsaw and Disney’s live-action take on Aladdin. The post Sopranos Movie Prequel Adds Corey Stoll & Billy Magnussen appeared first on ComingSoon.net.